SC upholds Madhya Pradesh Law regulating Admission and Fixation of Fee in Pvt Professional Colleges. Association of Private Dental and Medical Colleges of State of Madhya Pradesh has filed Writ Petition No.1975 of 2008 challenging the provisions of Act 2007 as unconstitutional beyond legislative competence of the State Legislature and therefore without jurisdiction. In W.P. No.9496 of 2008, the association has also challenged the Admission Rule 2008 framed under Act 2007 as ultra vires the Constitution and M.P. Act 2007. The State Government issued orders on 28.02.2009 that the State Government shall conduct the Common Entrance Test (CET) for admission to the post-graduate medical and dental courses for the academic session 2008-2009 through Madhya Pradesh Professional Examination Board (VYAPAM). The Association has challenged the order dated 28.02.2009 authorizing VYAPAM to conduct the CET for admission to post-graduate medical and dental courses as arbitrary and contrary to the law laid down in T.M.A. Pai Foundation and P.A. Inamdar cases in W.P. No.2764 of 2009. Madhya Pradesh High Court by the common impugned judgment upheld the validity of the provisions of the Act and also the Rules and dismissed all the Writ Petitions. Rule 10(2)(iii) of 2009 Rules which prescribed that the candidate should have obtained permanent registration with the State Medical Council of Madhya Pradesh and not from State Medical Councils of other States for securing admission to post-graduate medical courses in any of the medical institution in the State of Madhya Pradesh was held to be ultra vires. (i) Re. : Admissions – Reading Section 6 with Section 3(d) of the Act, 2007, which deals with the CETs, it is held that provisions prescribing a CET for the purpose of admission to private unaided institutions are constitutional and valid since the same are in consonance with the dictum of the Constitution Bench judgment of this Court in the case of T.M.A. Pai Foundation, as per the law specially laid down in paragraphs 58 and 59 of the said judgment. The High Court has pointed out the manner in which the dictum of T.M.A. Pai Foundation is explained in the Constitution Bench judgment of this Court in the case of P.A. Inamdar, and applying the same the High Court had held that there is no violation of the fundamental rights of the writ petitioners since the provisions constituted reasonable restriction as accepted by and, therefore, saved under Article 19(6) of the Constitution. Quoting paragraphs 136 and 137 of P.A. Inamdar, the High Court held that the CET prescribed under Section 6 of the Act, 2007 will ensure that the merit is maintained. It is also concluded by the High Court that sufficient material that was placed on record to establish that prior to the enactment of the Act, 2007 clearly exhibited that private unaided institutions were not able to ensure a fair, transparent and non-exploitative admission procedure. As such, the High Court upheld the provisions of the Act, 2007 and the Rules, 2008 read with notifications issued thereunder to be constitutionally valid. (ii) Re. : Fee Regulation – With regard to the challenge to Sections 4(1), 4(8) and 9 of the Act, 2007 read with Rule 10 of the Rules, 2008, it is held that the power of the Fee Regulatory Committee under the provisions was only 'regulatory' and the purpose of which was to empower the Committee to be satisfied that the fee proposed by the private professional institutions did not amount to profiteering or commercialisation of education and was based on intelligible factors mentioned in Section 9(1) of Act, 2007 providing a canalised power which was not violative of the fundamental rights of the private professional institutions to charge their own fee. (iii) Re. 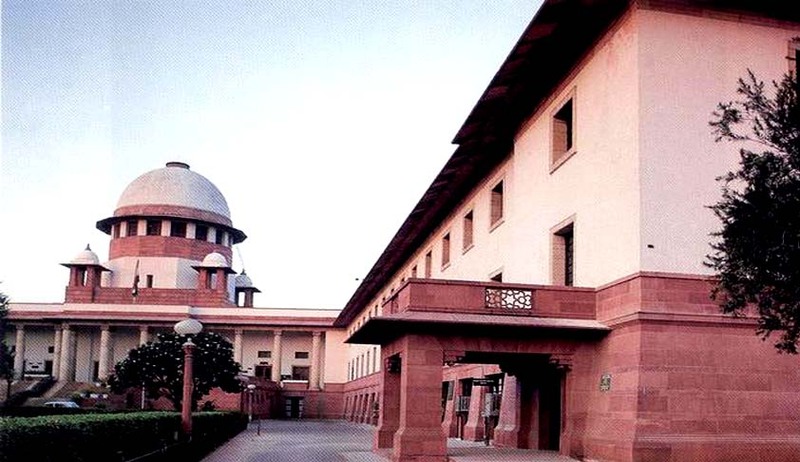 : Reservation – The challenge to Section 8 of Act, 2007 and Rules 4 & 7 of Rules, 2008 relating to reservations were not seriously pressed by the appellants in view of the amendment to Article 15, whereby clause (5) was inserted, by the Constitution (Ninety-Third Amendment), 2005. In any case, the High Court has examined the said provisions and concluded that sufficient number of seats were allotted for the unreserved category in different disciplines and subjects, and that a reasonable balance had been struck between the rights of the unreserved category candidates and the reserved category candidates. Insofar as provisions relating to admission, eligibility for admission and fixation of fee are concerned, the main contention of the appellants was that these medical and dental colleges being private unaided colleges, it is their fundamental right under Article 19(1)(g) of the Constitution of India to lay down the eligibility criteria for admission and admit the students as well as fix their fee. Re. : Provisions relating to CET to be conducted by the State machinery under Act, 2007 as well as Rules. The Court held that “Undoubtedly, right to establish and administer educational institutions is treated as a fundamental right as it is termed 'occupation', which is one of the freedoms guaranteed under Article 19(1)(g). It was so recognised for the first time in T.M.A. Pai Foundation. Even while doing so, this right came with certain clutches and shackles. The Court made it clear that it is a noble occupation which would not permit commercialisation or profiteering and, therefore, such educational institutions are to be run on 'no profit no loss basis'. While explaining the scope of this right, right to admit students and right to fix fee was accepted as facets of this right, the Court again added caution thereto by mandating that admissions to the educational institutions imparting higher education, and in particular professional education, have to admit the students based on merit. For judging the merit, the Court indicated that there can be a CET. While doing so, it also specifically stated that in case of admission to professional courses such a CET can be conducted by the State. If such a power is exercised by the State assuming the function of CET, this was so recognised in T.M.A. Pai Foundation itself, as a measure of 'reasonable restriction on the said right'. Re. : Provisions in the Act Rules relating to fixation of fee are unconstitutional being violative of Article 19(1)(g) of the Constitution? To put it in nutshell, though the fee can be fixed by the educational institutions and it may vary from institution to institution depending upon the quality of education provided by each of such institution, commercialisation is not permissible. In order to see that the educational institutions are not indulging in commercialisation and exploitation, the Government is equipped with necessary powers to take regulatory measures and to ensure that these educational institutions keep playing vital and pivotal role to spread education and not to make money. So much so, the Court was categorical in holding that when it comes to the notice of the Government that a particular institution was charging fee or other charges which are excessive, it has a right to issue directions to such an institution to reduce the same. The Court held that the provisions relating to admission of students through Government test to be conducted by the State and the provision relating to fixation of fee by setting up a Committee to oversee that institutions are not charging a fee which amounts to capitation or profiteering are reasonable restrictions and do not suffer from any constitutional vice. The concept of welfare of the society would apply more vigorously in the field of education. Even otherwise, for economist, education as an economic activity, favourably compared to those of other economic concerns like agriculture and industry, has its own inputs and outputs; and is thus analyzed in terms of the basic economic tools like the laws of return, principle of equimarginal utility and the public finance. Guided by these principles, the State is supposed to invest in education up to a point where the socio-economic returns to education equal to those from other State expenditures, whereas the individual is guided in his decision to pay for a type of education by the possibility of returns accruable to him. All these considerations make out a case for setting up of a stable Regulatory mechanism. In this sense, when imparting of quality education to cross-section of the society, particularly, the weaker section and when such private educational institutions are to rub shoulders with the state managed educational institution to meet the challenge of the implementing ambitious constitutional promises, the matter is to be examined in a different hue. It is this spirit which we have kept in mind while balancing the right of these educational institutions given to them under Article 19(1)(g) on the one hand and reasonableness of the restrictions which have been imposed by the impugned legislation. The very object of setting up institutions for the State is a welfare function, for the purpose of excelling in educational standards. On the other hand, the primary motivation for private parties is profit motive or philanthropy. When the primary motivation for institutions is profit motive, it is natural that many means to achieve the same shall be adopted by the private institutions which leads to a large degree of secrecy and corruption. As such, the mechanism of regulations as envisaged under the impugned laws is legal, constitutional, fair, transparent and uphold the primary criteria of merit. The same does not infringe on the fundamental rights of either the minorities or the non-minorities to establish and administer educational institutions and must as such be upheld as valid. The Court also rejected the contention that the impugned legislation is beyond the legislative competence of the State of Madhya Pradesh.